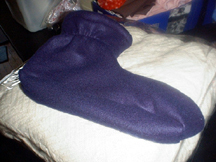 Quick and Easy Slippers to make from Polar Fleece or Sweat Shirt Fleece. You can also use knit fabrics such as stretch velvet , doubled. Draw out your patterns having each square equal 2". 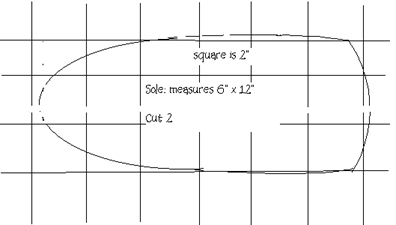 Using this pattern and 5/8" seams you will get a slipper fitting about a size ten men's shoe. To make it smaller, adjust your pattern to the size you want. I think a women's size 9 shoe would need the sole approx. 10" long, 5 1/2" wide. 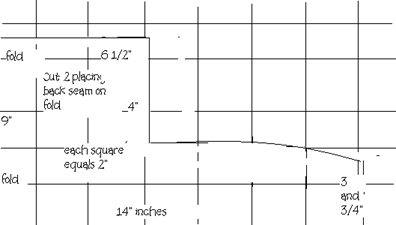 Main piece could stay the same except adjust the length to 12". Cut two of each pattern piece, with stretch going acrossed foot. Make sure to put back of slipper on the fold line. 2. 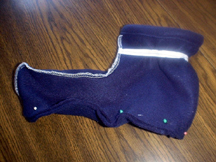 Sew down front slipper seam on wrong side, with right sides together. 3. 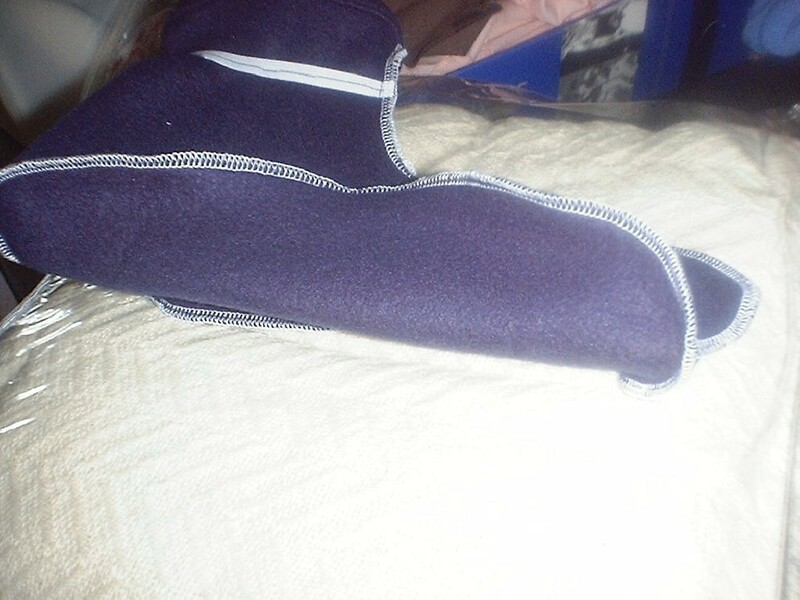 Turn down top of slipper 1/2", then 1/2 " again to wrong side and sew around, forming top hem. 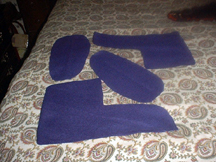 If using double knit fabrics skip this step until all four slippers are cpmplete. Turn outside sections right side out and slide lining piece to the inside then complete the hem. Sew up front seam. 4. 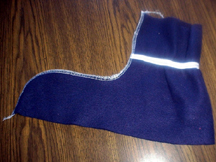 Attach sole of slipper to slipper top , matching wider top part of sole to middle front slipper seam and narrower back of the sole to the fold lne at back of the slipper, right sides together. Sew around. 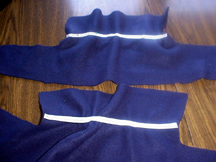 Trim seams and clip curves if using a sewing machine. With back on fold of fabric. 1.Sew on elastic 4" down from top. Stretching elastic as you sew. Sole attached in this picture.